France won last year's World Cup - but will it be coming to Britain in 2030? The national football associations of England, Wales, Scotland, Northern Ireland and Republic of Ireland will meet on Friday to discuss putting in a potential bid for the 2030 World Cup. They will gather after the annual UEFA congress in Rome. It is likely they will discuss potential venues that would meet FIFA's requirements and it is understood there is a desire to ensure the bid is not too focused on London. At the end of last year, the British government said it would back a joint bid to host the 2030 World Cup in the UK and Ireland. UK Prime Minister Theresa May said: "If they decide to go forward, they can count on this government's full support". 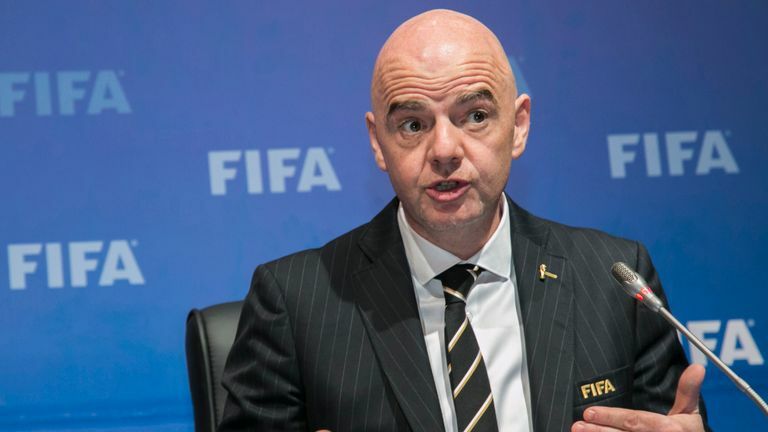 When assessing a country's World Cup bid, FIFA takes into consideration potential stadiums, political information, FIFA fan tests, economy, transport, safety and security. The government of the bidding country must offer its full support. FIFA guidelines state that for World Cup stadiums must have at least 40,000 capacity for group games, 60,000 for semi-finals and then 80,000 for the opening ceremony/match or final. That would leave Wembley Stadium as the only one large enough to host the final, with Cardiff's Millennium Stadium and Murrayfield, home of Scottish rugby, as possible semi-final venues. The last time a major men's football tournament was held in the UK was the European Championship, held in England in 1996. The only time the country has ever staged a World Cup was in 1966, while there were failed bids in 2018 and 2006, when England lost out to Germany.